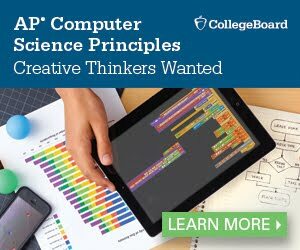 A new AP course to Conifer High School, AP Computer Science Principles. This is a computer science course for anyone who thinks they need to use a computer, all of us. See Mr. Halingstad and the AP Computer Science Principles website for more details. Be prepared for higher paying jobs – NOW and later– by gaining training for high demand/high wage positions. Be more efficient in their high school and post-secondary experiences. Students will learn skills and tools to work faster and create higher quality products. They also experience the core academics in relevant, differentiated and application-based ways that help students anchor and transfer their knowledge. Be prepared for independence. Students learn to manage themselves, their finances, their personal, professional and academic lives, to interact with others successfully and purposefully, to set goals, fulfill responsibilities and to see the big picture in terms of opportunities and challenges ahead!